Face With One Eyebrow Raised has had a fast rise to fame. 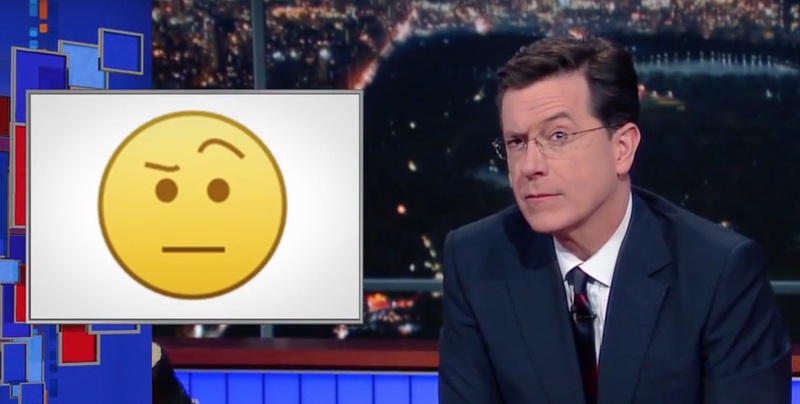 Mark Davis, president of Unicode, casually likened it to US television presenter Stephen Colbert in January, followed by Time picking up the "Colbert Emoji" phrase when covering the same emoji last month. 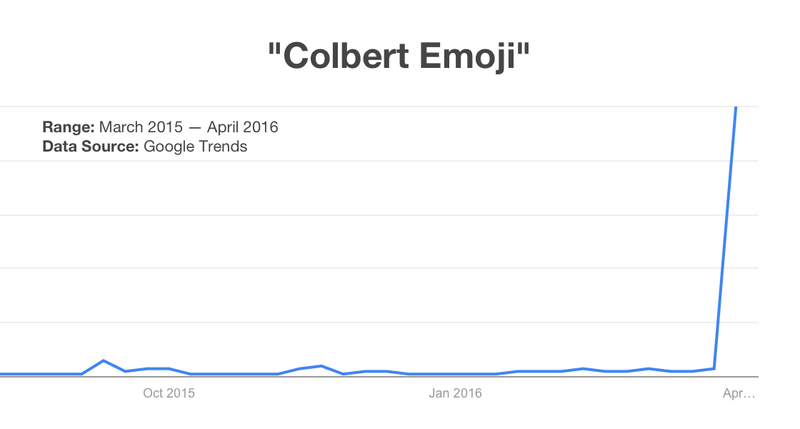 Above: Google Trends data for Colbert Emoji searches. It's too soon to know if the buzz around this name will stick, but it's already become the most common way people search for this emoji on Emojipedia. 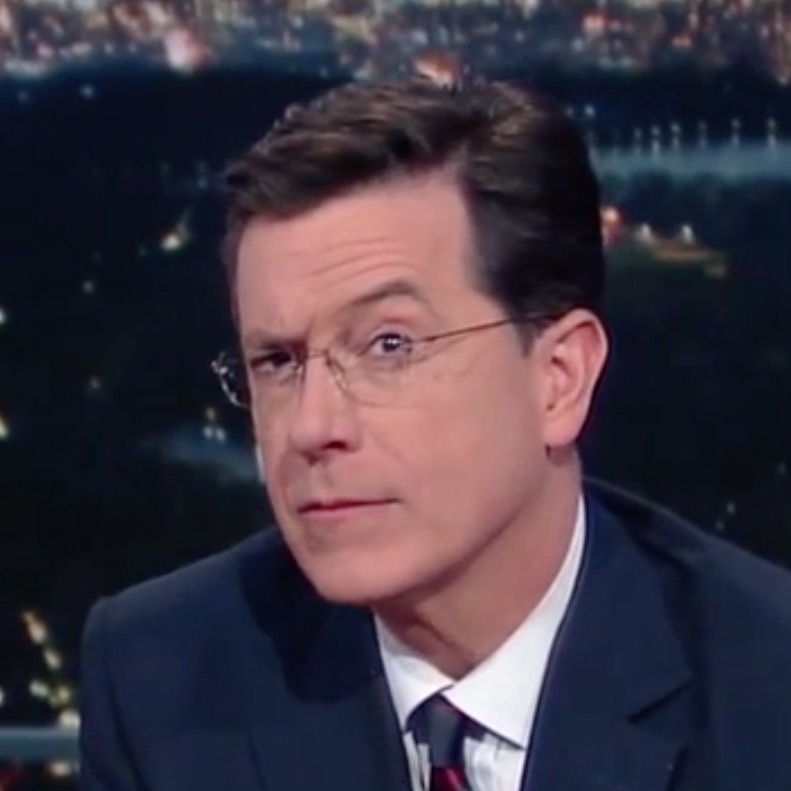 Above: Colbert raises the opposite eyebrow to the proposed emoji image. 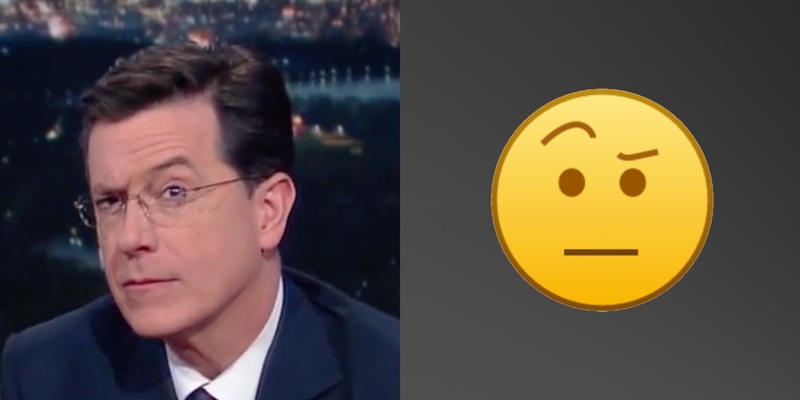 It would appear that Colbert only has one eyebrow that can raise, and it's not the same one shown in the emoji proposal. Above: New Emojipedia Sample Image for Colbert Emoji. 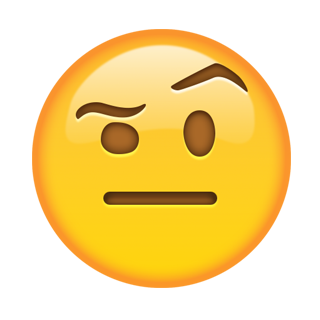 This emoji is currently a candidate for Unicode 10.0, which is scheduled for release in 2017. For a look at what else is on the way, take a look at sample images for all upcoming emojis.